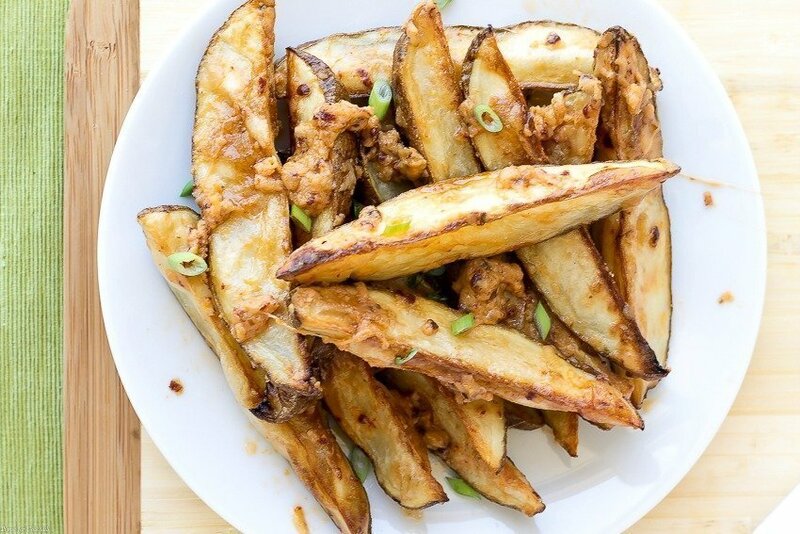 These Chipotle Parmesan Oven Fries have a tangy, spicy kick! 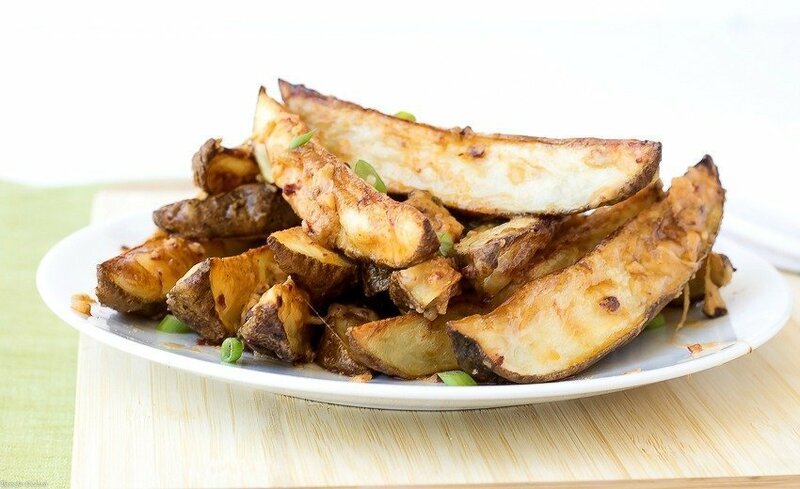 Roasted potato wedges tossed in my creamy, cheesy Chipotle Parmesan Spread. Happy 4th of July folks! I hope you are having a fun holiday weekend. Things are pretty relaxed here. Paul just got up, but the kid and I have been puttering around the casa kitchen since early this morning! 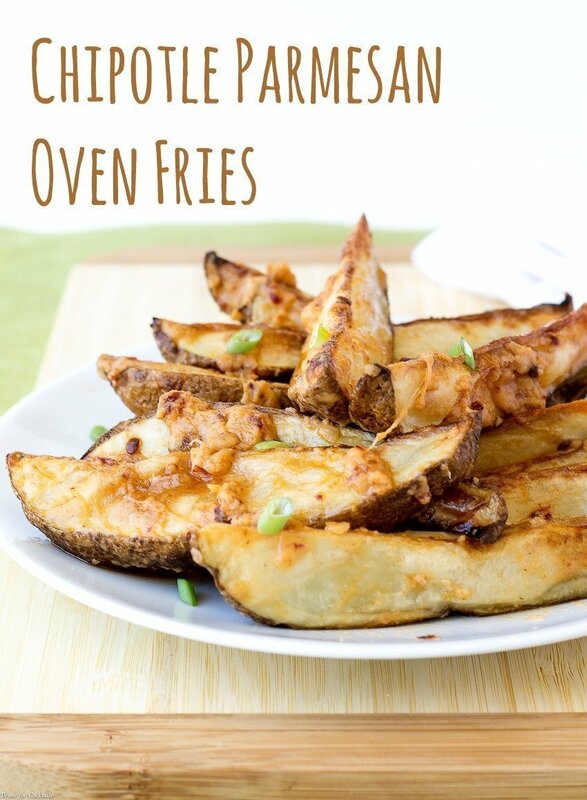 [bctt tweet=”Chipotle Parmesan Oven Fries #spicy #creamy #cheesy ” username=”thyme4cocktails”] We are going our separate ways for the evening so I wanted us to have at least one meal together today. It’s good that the kid is spending time with his friends before he leaves next month, but family time is still a priority. So I made a batch of spicy southern fried chicken and these crispy Chipotle Parmesan Oven Fries. Lunch was an hour ago and I am still sneaking bites of them whenever I walk through the casa kitchen. 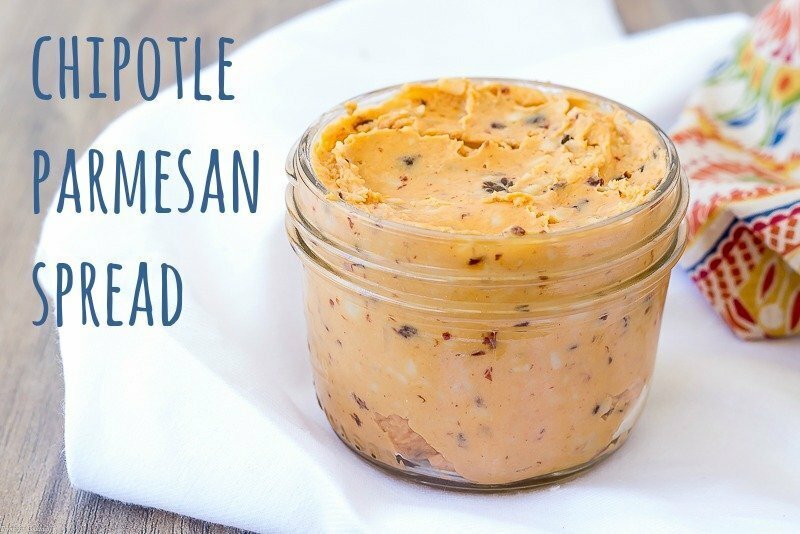 The Chipotle Parmesan Spread is completely addictive! Line a 1-2 large baking sheets with aluminum foil, set aside. Cut each half in half lengthwise. Add potatoes too a large bowl, lightly drizzle with oil. Toss to coat. Place oiled wedges skin side down on baking sheet/s. Do not overcrowd. Sprinkle wedges lightly with salt. Bake 30-40 minutes until tender and golden brown. Add desired amount of Chipotle Parmesan Spread to potatoes, toss to coat. Return to oven, bake 5 more minutes.